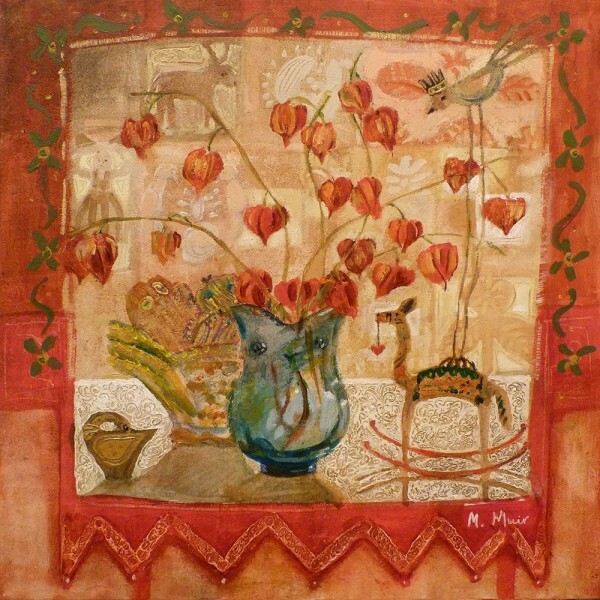 Morag Muir was born in Glasgow in 1960. 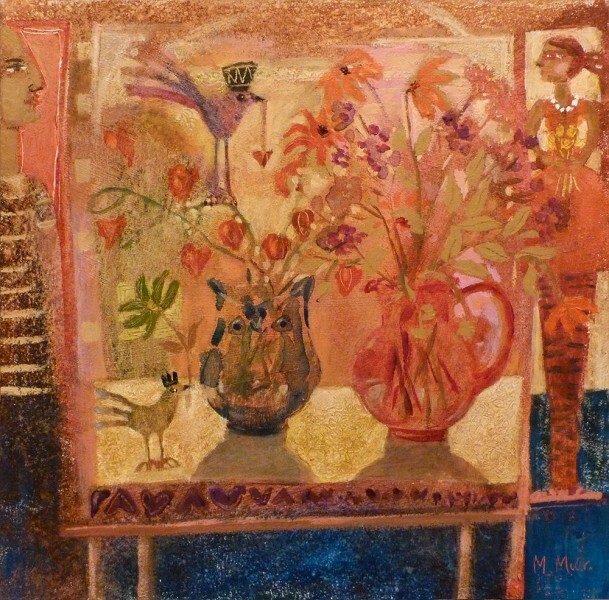 She studied Fine Art at Duncan of Jordanstone College of Art, Dundee from1978-1982 and completed a year of postgraduate study in 1983, winning the John Milne Purvis Prize and the Major Travelling Scholarship, which financed further study in Italy. 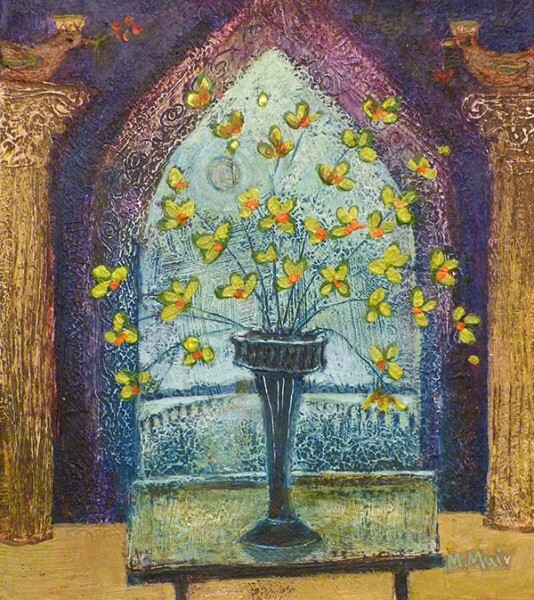 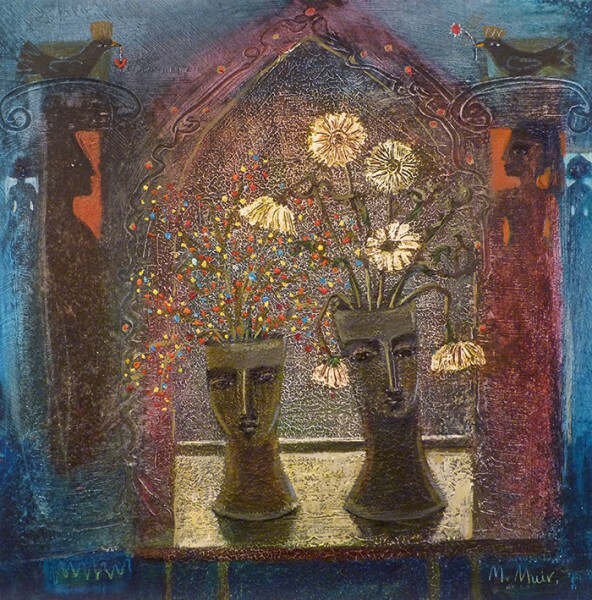 Morag has taught at various colleges throughout her career, but due to increasing demand for her work she decided to focus on her professional practice, becoming a full-time artist in 2006. 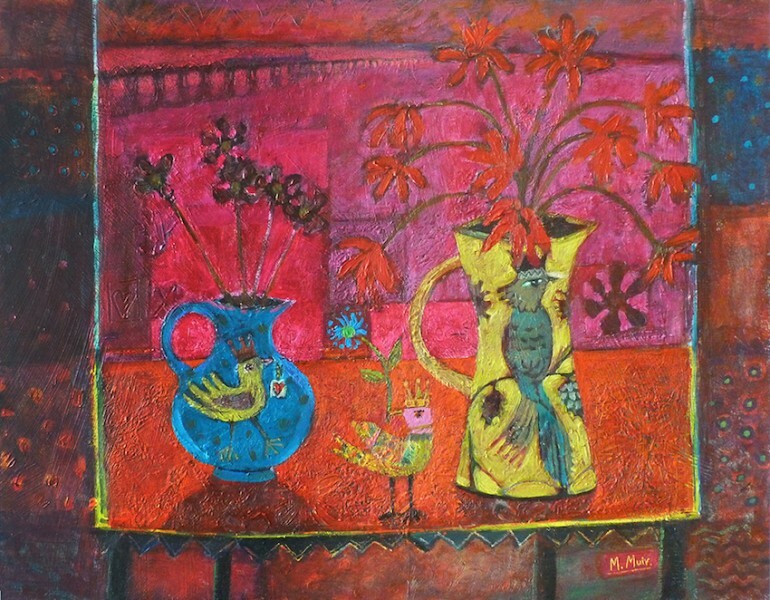 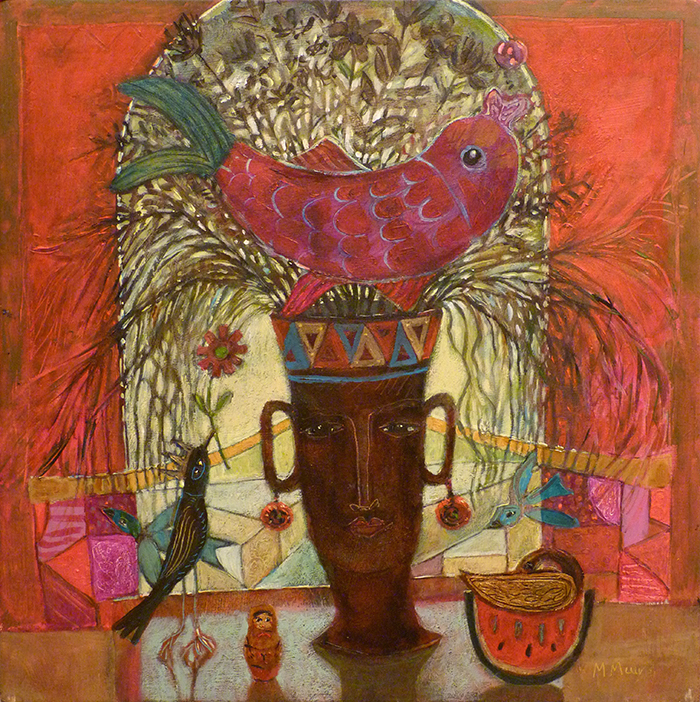 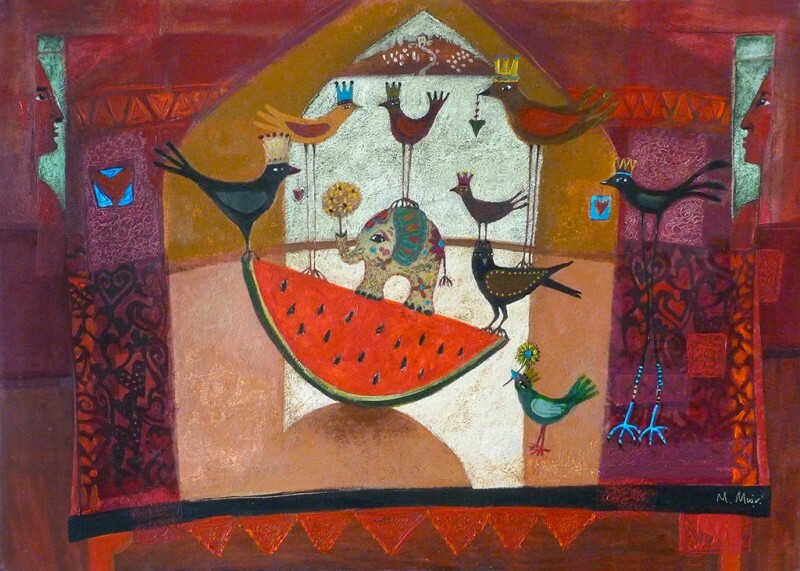 Morag’s paintings mainly reflect the studio environment, and her still-life work incorporates narratives that develop when characters and objects begin to populate the canvas. 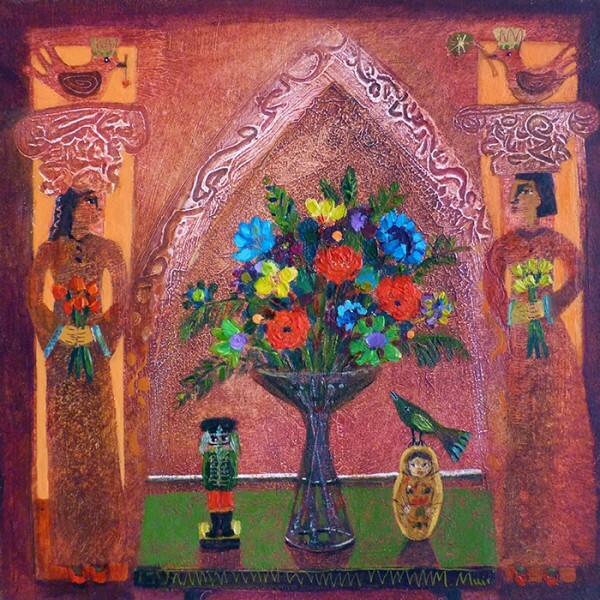 Windows, flowers, textiles, toys and ethnic bric-a-brac share ambiguous spaces. 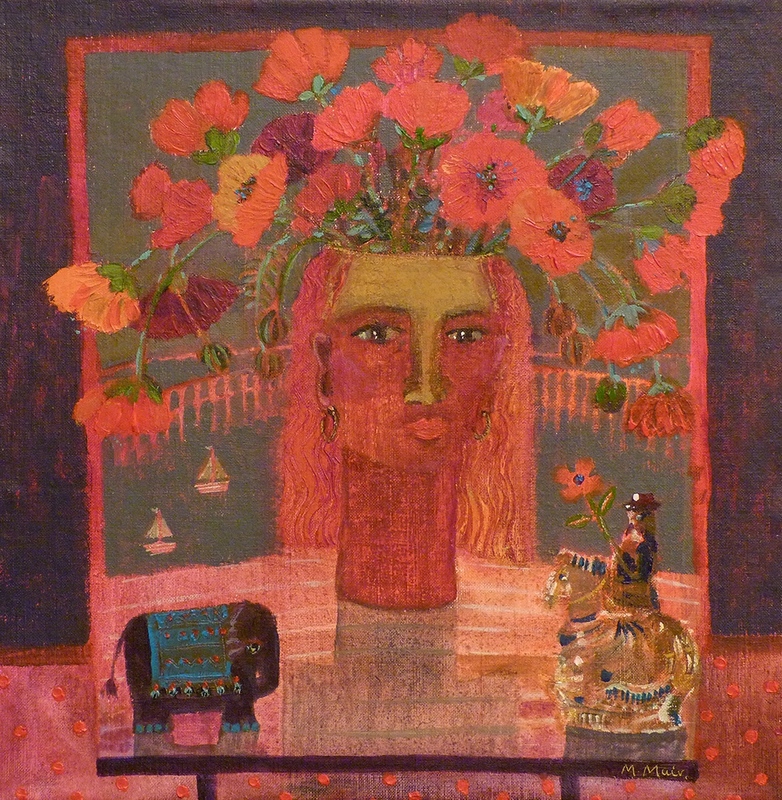 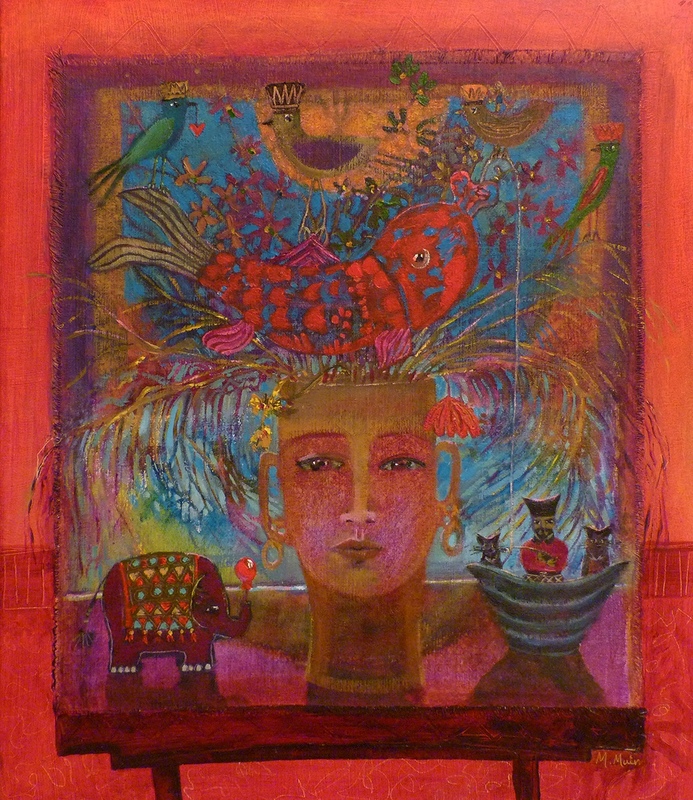 The finished paintings portray layers of her personal life interwoven with her surroundings and collected memorabilia . 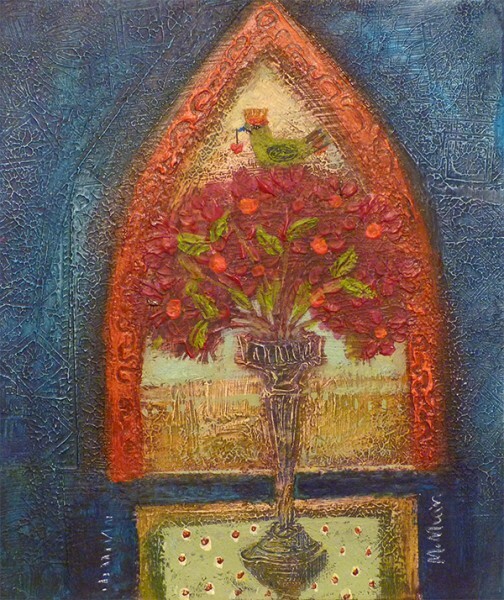 Morag currently exhibits throughout the UK.